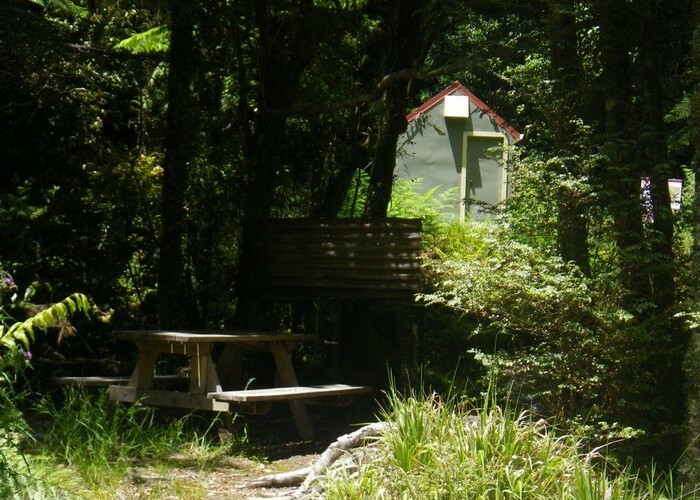 Island Forks (Biodiversity) Hut is a standard 2-bunk DOC Biv in the Tararuas. The name is somewhat confusing as it's not at Island Forks, but in the East Waitewaewae just upstream from its forks with the West. Island Forks is officially a wildlife management hut - for the Project Kaka, but is open and available for other users. It gets about 10 visits a year, of which 6 would be by people involved in Project Kaka activities. The hut is not marked on the map, nor is it visible on Google sat photos - but can be seen on the higher resolution air photos on WAMS (wams.org.nz). Island Forks Hut / Island Forks Biv • By madpom. Licence: cc by. Waiopehu Hut. Route down Oriwa Ridge. Camping & water also available at tank at old Oriwa Hut site. 292 views in the past year (24 per month).